Following up on a recent post and call for help. Following on from our recent post asking for help identifying a ‘mystery man’ on the Hellesdon War Memorial we’ve had lots of people share information with us and we are now pretty certain that we have identified the Piercy mentioned on the memorial. 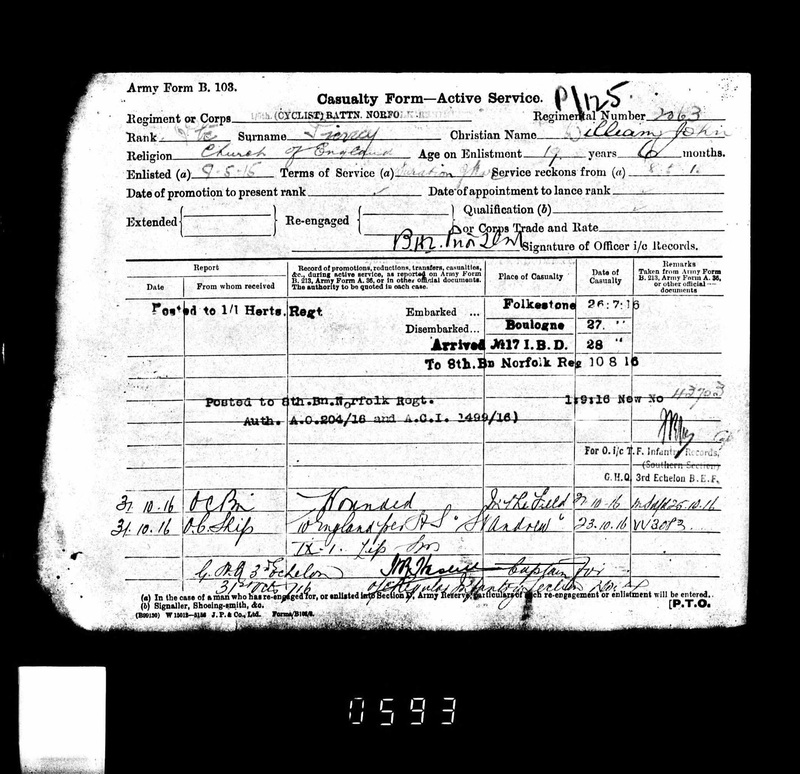 All respondents are certain that the name has been miss-copied or miss transcribed at some point and that it should read William J(ohn) Piercy and not William H Piercy. 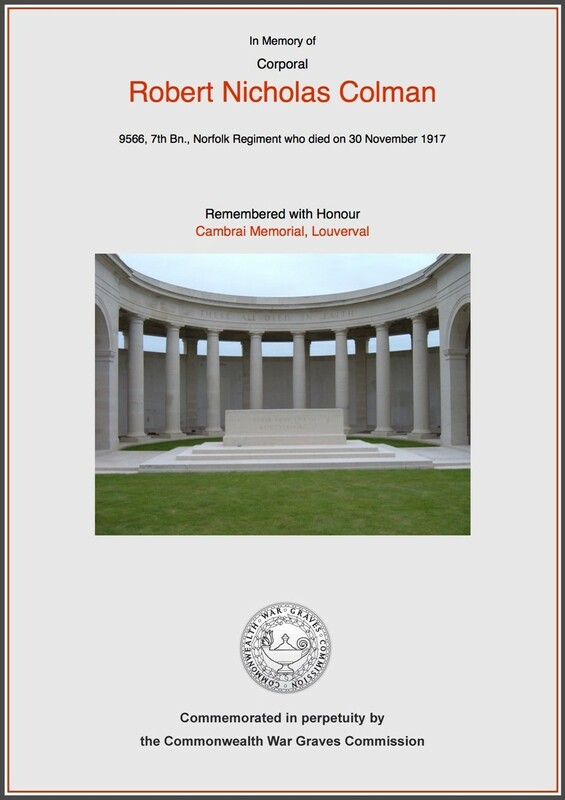 More detailed research shared with us by historian and author Steve Smith shows that he was born in Hackford in Norfolk and that he enlisted in Norwich on 9th May 1915 initially with the 1/6th Norfolk Cyclist Battalion, he was 19 ½ at the time of enlisting. 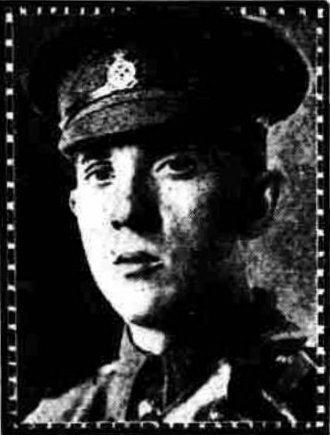 He was sent overseas on the 27th July 1916 (missing the start of the Battle of the Somme) and joined the 8th Battalion of the Norfolk Regiment on the 10th August 1916. We are lucky that his full service records survived the air raids of the 2nd World War and we can trace his progress through the war as he moved to the 9th Battalion and then the 1st Battalion of the Norfolk Regiment. 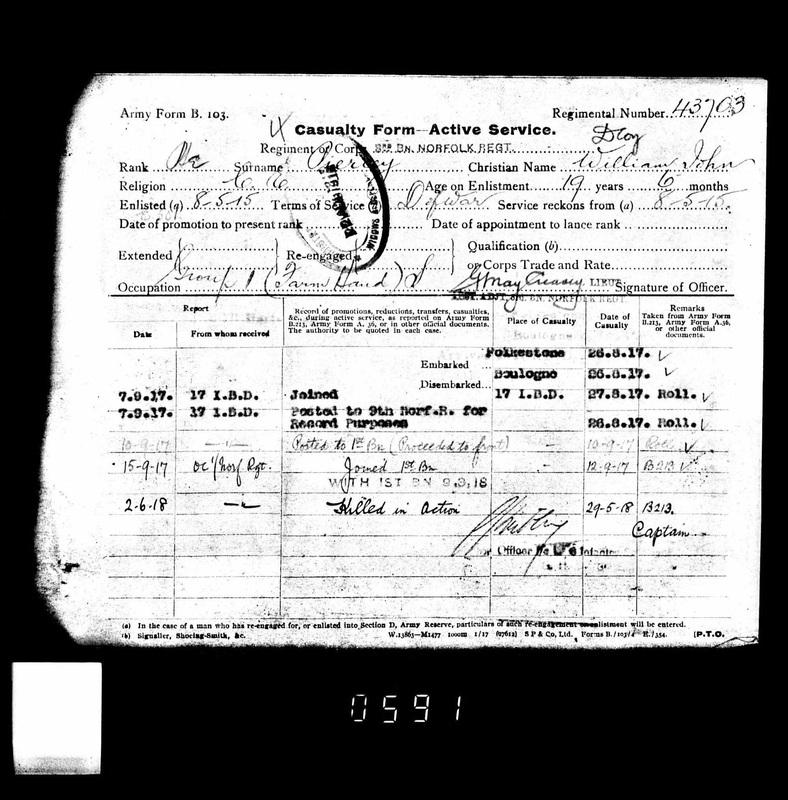 His record card states that he was wounded in October 1916 and on looking through the Norfolk Regiment Casualty Book, held at the Royal Norfolk Regimental Museum, this can be deciphered so we know that in October 1916 he was suffered gunshot wounds to his lower extremities and was evacuated back to the Military Hospital in Devonport. He stayed in the UK until August 1917 when he once more returned to service overseas, and was back at the Front by 10th September 1917. 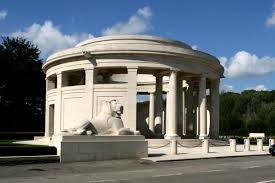 He is listed as being Killed in Action on 29th May 1918 and is commemorated on Panel 3 of the Ploegsteert Memorial in Belgium. 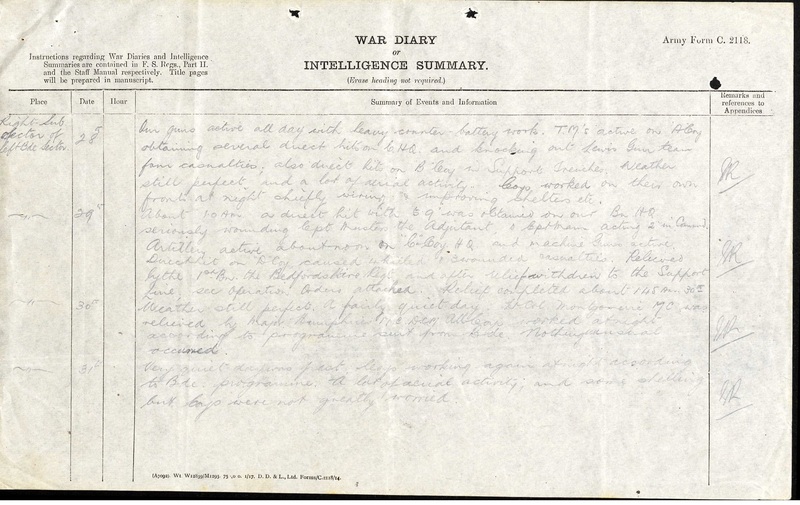 To tell the story of his final day Steve has also found the Battalion War Diary for 29th May 1918 so that we can see what he faced. The internet became a truly magical place at this point when we were contacted by a family member of the Piercy’s former neighbours and so we can share that here too as it gives a flavour to the lives of people living in Norfolk at the time. Once more a huge thanks to all our readers who have added so much more to this man’s story. Here at the Norfolkinworldwar1 team we’ve been contacted by Mr Kelly with another World War One query, and once more we are hoping that our readers can help – although this time we have lots of information and are looking for descendants of a WW1 soldier. A relative in Canada has come across a WW1 Medal for the above named. 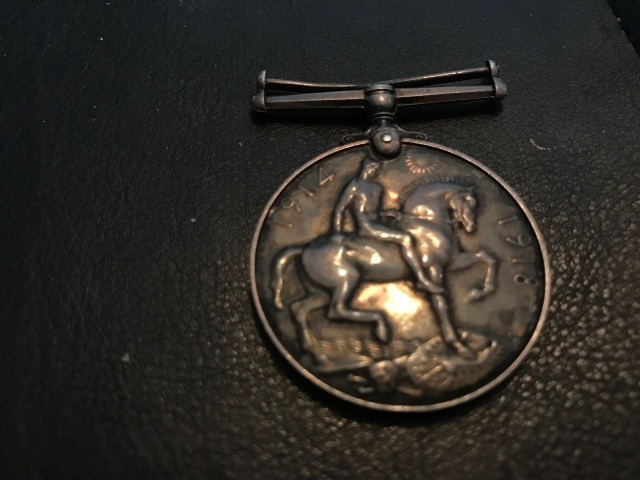 My local History Research Group have identified the following from his War number in the Norfolk Regiment where he was Private 24249 which is on the Medal. 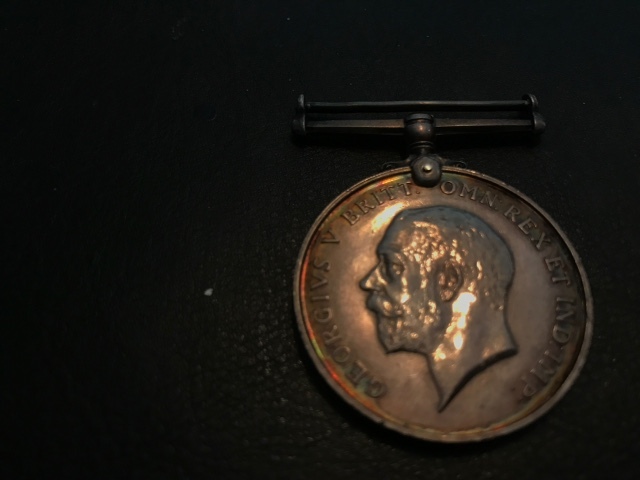 Mr Kelly continues that his Canadian family are travelling to the UK in the autumn and would like to return the medal to the family if they can be found – so if anyone reading this can help locate Cecil Payne’s family please do email Sarah at norfolkinworldwar1@gmail.com so we can try to reunite the medal. Staff from the Forum Norwich have been in touch with more details about their current WW1 Project. Do you have female ancestors from Norfolk who were involved in the First World War? 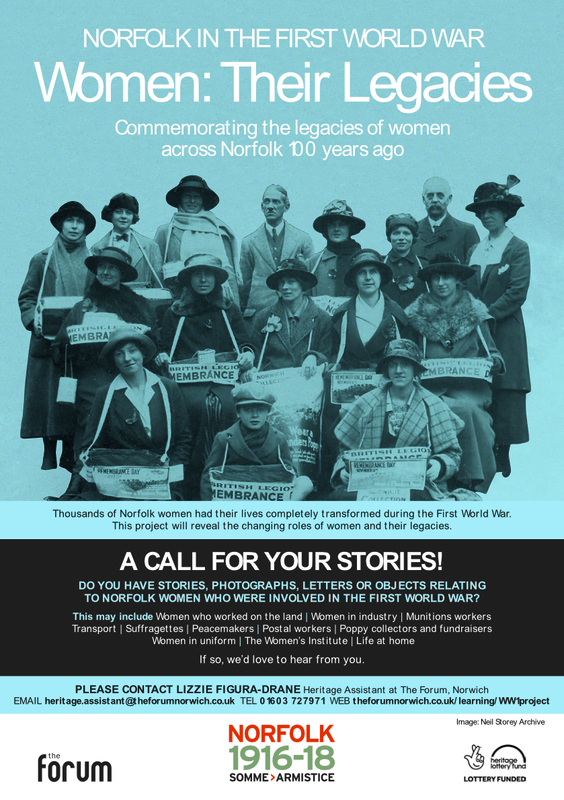 If so, The Forum, Norwich would love to hear from you as part of their next First World War project. As part of the Norfolk in the First World War: Somme to Armistice Exhibition which will run at The Forum and Norfolk and Norwich Millennium from 01-13 November 2018 there will be a display on the legacies of Norfolk women in the First World War. This will include a Roll of Honour for 25 Norfolk women in uniformed service who died during or as a result of the First World War and exhibits on the role of women in industry and social reform. The exhibition will include stories of Norfolk postmistresses and women who worked on the land, in munitions and factories. It will also explore women’s peace activism, suffragettes, non-conformists, the role of women in fundraising, the formation of the Women’s Institute and how court records can demonstrate the impact of the war on life at home. If you have stories, photographs, letters or objects to share please get in touch with The Forum’s Heritage Assistant, Lizzie Figura-Drane via email: heritage.assistant@theforumnorwich.co.uk or telephone: 01603 727971. Information and stories of local women will help add to the research for The Forum’s community project ‘Norfolk in the First World War: Somme to Armistice’. The project runs until November 2018 with National Lottery funding from the Heritage Lottery Fund (HLF). 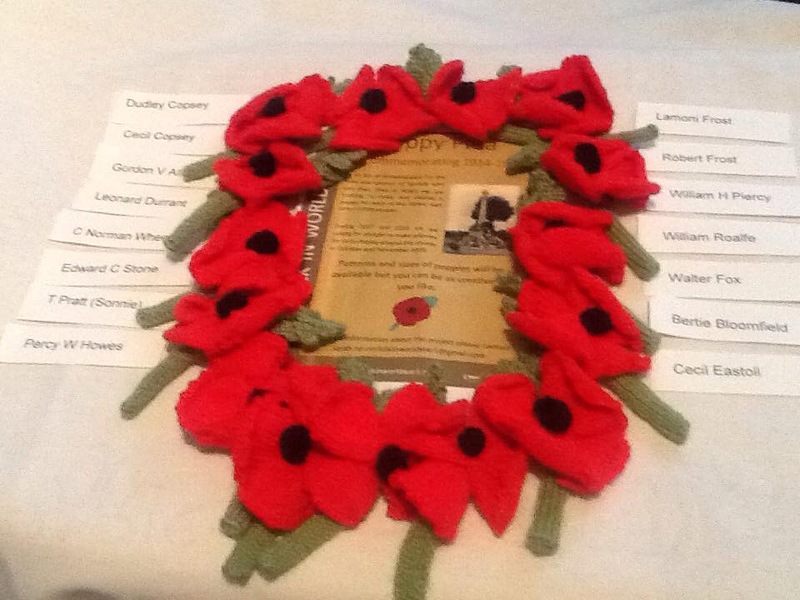 We’ve recently been talking on Twitter with Linda, a lady who has undertaken to create a poppy for all of the men listed on the Hellesdon War Memorial. More than this Linda is also researching the war history of all 15 men remembered there. 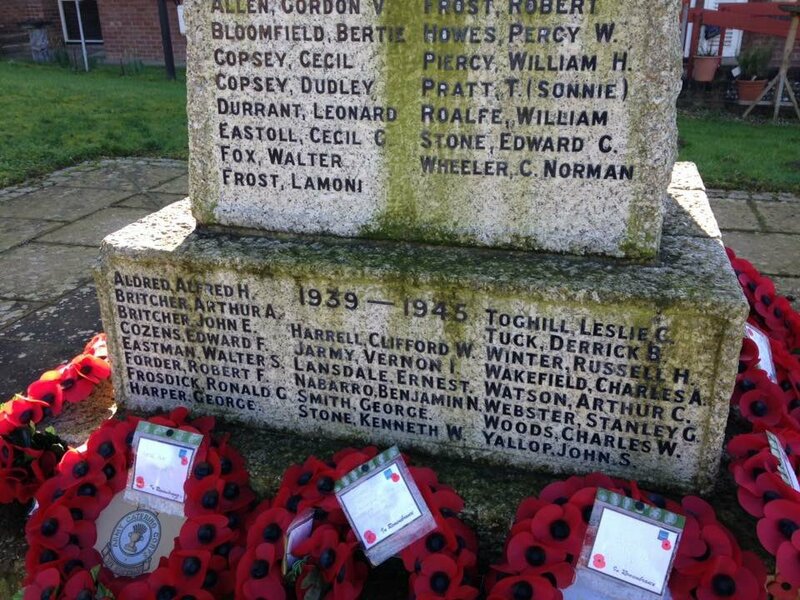 The soldier concerned is recorded on the memorial as William H Piercy but I can find no record of him in any records. I have however found a William John Piercy who’s next of kin were living at Lower Hellesdon. I have been doing the research as part of the Hellesdon Community History Group and I’m stuck – could you forward this query on to anyone that can help guide me in the right direct to resolve this quandary. I think it is a transcription/typo error which I have had personal experience of within my own family. We’ve done a little sleuthing by playing around with various spellings of the name and the initials on the Commonwealth War Graves website and found three possible men that could possibly be the man listed at Hellesdon. W J Piercy #43703 whose parents are listed as living in Eccles. William Piercy #G/16306 but with no further details. His name would have been submitted to a “committee” for approval and I wonder where this would be and this record would have more information to help confirm his parents/date of birth etc. We’ve recently been contacted by Ray from Mattishall who has shared a fascinating story about a local man who has faded from memory since the First World War, despite is high profile at the time. Friday, November 2nd 1917 – My journey looking for First World War casualties had brought me to the picturesque seaside town of Torquay, Devon, many miles from the battle fields of the Western Front. A thin and wasted 38-year-old man had finally succumbed to an affliction he had acquired during his military service. Katherine Peacock, the Matron of St Barnabas Nursing Home for the Incurables, was recorded as being present. No records have been found to confirm there was any effort to return his remains to his home village of Mattishall Burgh, Norfolk although on his death certificate an address of 45 Warwick Road, Warwick Gardens, London was written, a large building where he or his wife could have been renting a room, whilst working in the capital. There was a war on and any transportation of a corpse would have involved considerable expense which from all accounts show there was little funds available. Four days later on November 6th he was taken the short trip to Torquay cemetery and after a simple service lowered into a common grave, a grave we now know he shares with four other men. His death was not the result of battle wounds but a condition brought on and worsened during his short military service. 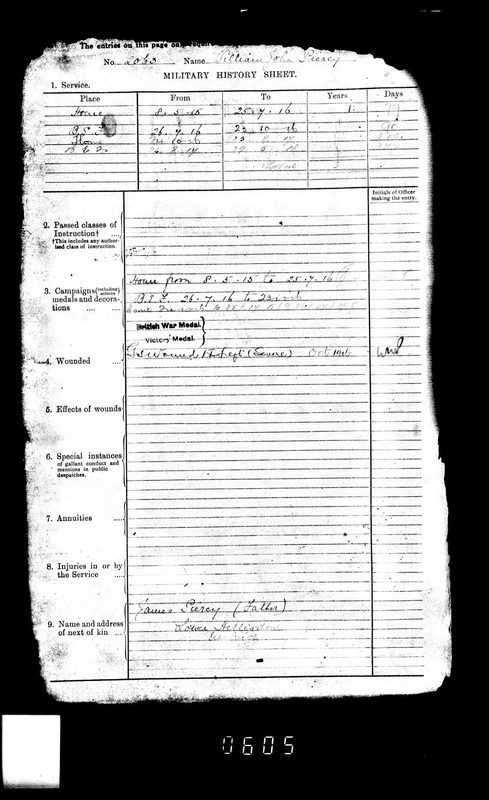 His death certificate, records him as ‘FRANK HENRY WRIGHTON’, age 38, an Actor. A simple note on his service records reads “He was well till a year ago, then had Pleurisy and Pneumonia, following wet exposure”. TB was also found in his Sputum. Nicholas Robert Colman was born on the 30th September 1897, and baptised on the 18th January 1898 in Gunthorpe parish church, the son of Daniel and Catherine Colman.